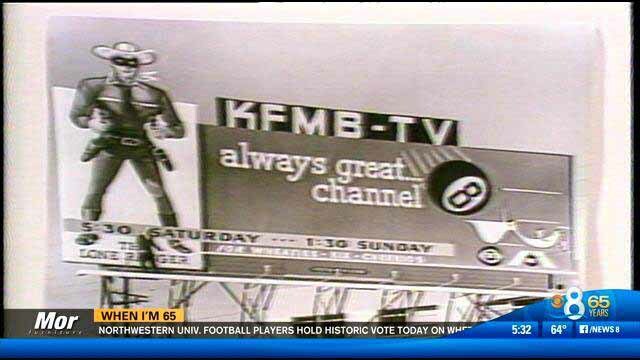 A spinoff company of Gannett has made a deal to buy San Diego CBS affiliate KFMB-TV from longtime owner Midwest Television. At least one station alumnus is critical of the move. Called TEGNA, the 2-year-old company based in McLean, Virginia, also is buying KFMB-D2 (CW) and radio stations KFMB-AM and KFMB-FM. The deal is worth $325 million, according to a joint news release Monday. Broadcastingcable.com said Tegna would pay for the stations, subject to FCC approval, with a combination of cash and an existing credit facility. “The company says it expects to close the deal by the first quarter of next year,” the site said. Midwest Television has owned the Kearny Mesa stations since the early 1960s, and its president and owner Elisabeth Kimmel said: “This transaction is a testament to the outstanding value our employees have created serving the San Diego community. TEGNA owns 46 TV stations in 38 markets, and calls itself the largest owner of top-4 affiliates in the top 25 markets, reaching about one-third of all television households nationwide. Radio+Television Business Report said the biggest industry question is whether TEGNA will retain KFMB-AM & FM, or spin the stations to a third party. 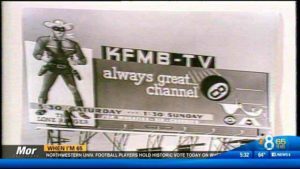 On the station’s 65th anniversary in April, Channel 8 noted highlights of its history, including singing cowboy Smokey Rogers and his 10-year stint, and Bob Dale’s “Zoorama,” which it said made the San Diego Zoo world famous. “By 1960, San Diegans started their day with ‘Sun Up San Diego,‘ hosted by … such luminaries as Bob Mills, Sue White, Sarah Purcell, Jerry G. Bishop and Kathi Diamant. Even David Letterman and Jerry Seinfeld filled in, during ‘Sun Up’s’ amazing 30-year run,” the story said. Former “Sun Up” co-host Danuta Pfeiffer, who spent seven years at KFMB-TV and KFMB-AM, wasn’t happy about the acquisition. “Large corporations are slowly devouring the flavor of local identities so that no matter where you go in the country, the flavor is the same, bland and homogenous,” she told Times of San Diego via email. Pfeiffer, who left KFMB in 1983 for a similar role on “The 700 Club” on the Christian Broadcasting Network, now is co-owner of Pfeiffer Winery in Junction City, Oregon. “It seems if San Diego continues to sell its identity to the highest bidder — the price may very well be its soul,” she said.